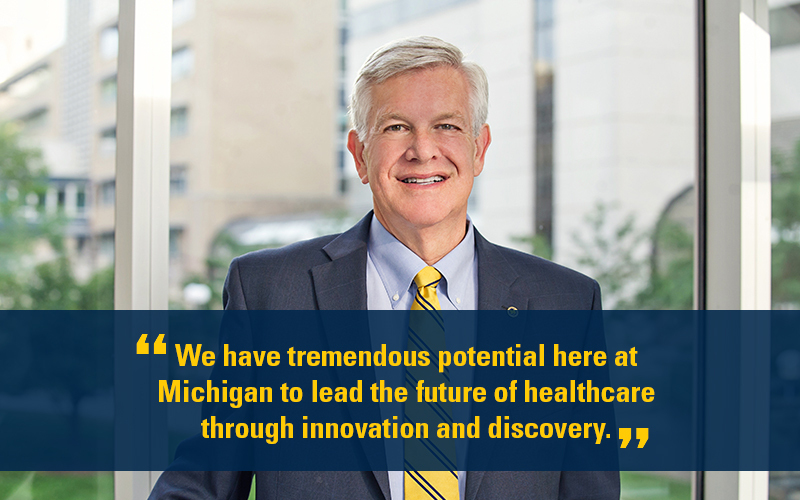 Welcome to the official website of the Dean, University of Michigan Medical School, Executive Vice President for Medical Affairs, U-M, CEO, Michigan Medicine. The Dean, EVPMA and CEO is an executive officer of the University of Michigan, reporting directly to the President and serving as a member of the President's senior leadership team. The Dean, EVPMA and CEO is responsible for the leadership and management of Michigan Medicine, which includes all patient care, research activities, the Medical School and the Michigan Health Corporation.